In this week’s guild spotlight we take a closer look at one of the newer guilds of Albion Online. A guild that quickly exceeded the expectations of its own guild leader. 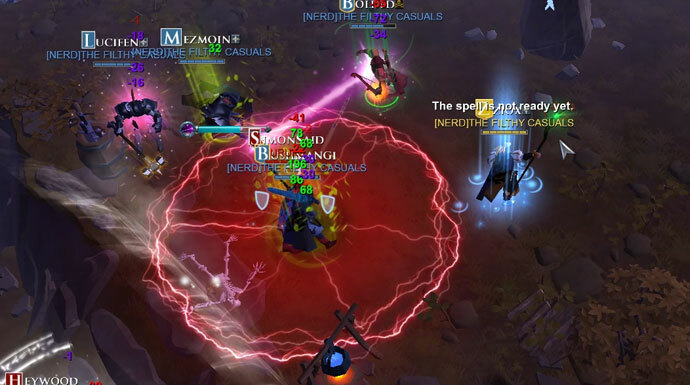 The competitive scene of Albion Online is constantly changing and while now and then a guild vanishes from that competition, another guild is taking its place. This week I met with Blackboa, the guild leader of The Filthy Casuals. Since the creation of the guild a lot of things have changed for them and now they finally are in a position to reach out and to claim one of these spots for themselves. Enjoy! 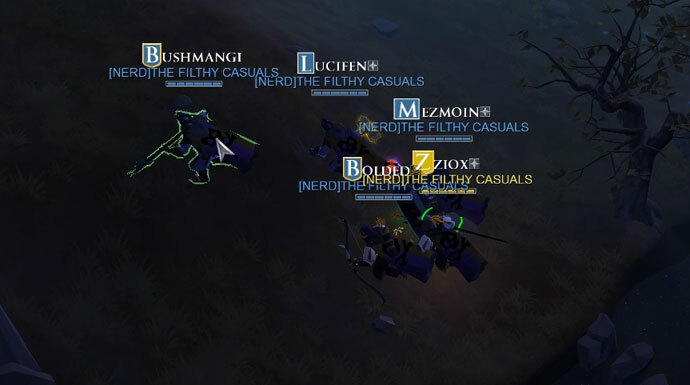 The Filthy Casuals were created in early of December 2016. 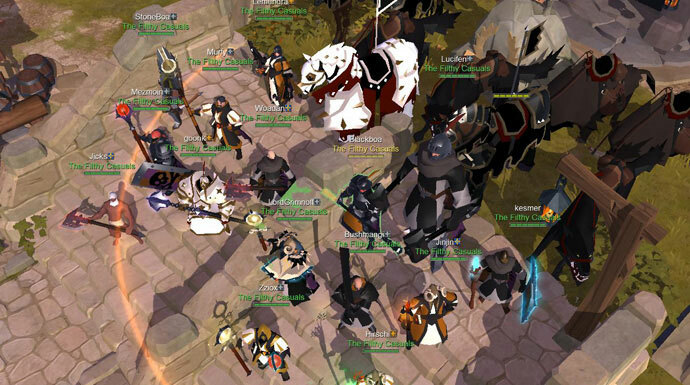 Blackboa, who was constantly streaming his adventures in the world of Albion Online, created a big base of constant viewers. Many of those viewers kept suggesting that he should create his own guild so that they could share their time in the game together. No sooner said than done, Blackboa opened the doors of The Filthy Casuals and in less than two months they reached the cap of 300 members. 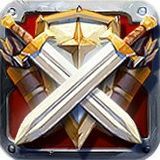 The growing foundation of the guild started to attract the interest of veterans that liked the concept of the guild and wanted to act as mentors for those new players joining. Thanks to the enthusiasm of the newcomers and the knowledge of the veterans, the people quickly learned the game’s mechanics and began to thirst for more competition, in both open world PvP and GvG. As not only Blackboa is streaming the game but he is encouraging other members of his guild to do the same The Filthy Casuals soon felt the double-edged blade of that mindset. Streaming a game with close to no delay is attracting a lot of attention and so the guild had quite a lot of different enemies trying to snipe their streams since their creation. Under those attackers are well-known guilds like Echo of Silence, ZORN, Envy, KDS, the Korn alliance, and many other smaller guilds and individuals. Instead of sulking about that, The Filthy Casuals welcome the actual PvP that their streams are ensuring and they use every opportunity they get to hone their skills. Until just recently, The Filthy Casuals were part of the Nerd Rage alliance under the lead of Wild West and Good Fellas. For the duration of their official alliance, Wild West and The Filthy Casuals shared the same Discord server to be in constant communication with each other. Thanks to that symbiotic cooperation, both guilds were able to continuously help each other in every aspect of the game. Both guilds were efficiently combining their forces whenever possible, be it in GvG, 20 versus 20 city fights or simple open world roaming. 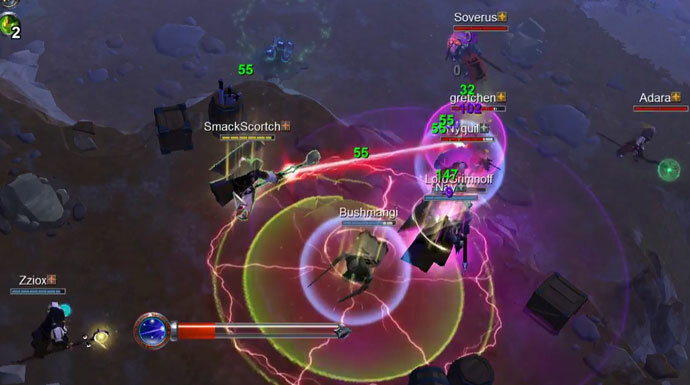 Thanks to the experienced players from Wild West, the newer members of The Filthy Casuals also quickly gained valuable experiences in the PvE part of Albion. Fame grinding had become quite efficient as the alliance was using their big pool of available combatants working together for a shared goals. Despite the alliance between them having now officially come to an end, they will remain friends that help each other out whenever one of them needs a helping hand. Still, this open minded recruitment strategy also has its risks but the guild leadership tries to quickly screen out the toxic grains that are able to sneak in. While the guild values the personality of their members over the individual skills they still decided to slightly optimize their recruitment strategy to better fit the new needs of the guild that changed from an all-out casual guild into a guild that want to make their name in the competitive scene in Albion Online. With the basics to be competitive established, The Filthy Casuals found a new goal: securing a fixed spot in the top 10 of Albion guilds after the Galahad update on March 13 2017. Right now, in the last days before the big wipe, the members of the guild are trying to do as much PvP as possible to be ready for the initial conflicts that are waiting for them. The guild lead in the meanwhile is working on their actual game plan for the wipe and their internal structure to ensure a long-term growth for the guild as well as their continuous success. Casual? Who Do You Call Casual!? Do you think The Filthy Casuals are able to accomplish their newly set goals? Share your thoughts and your opinion on The Filthy Casuals with us in the comments below or on our forums!